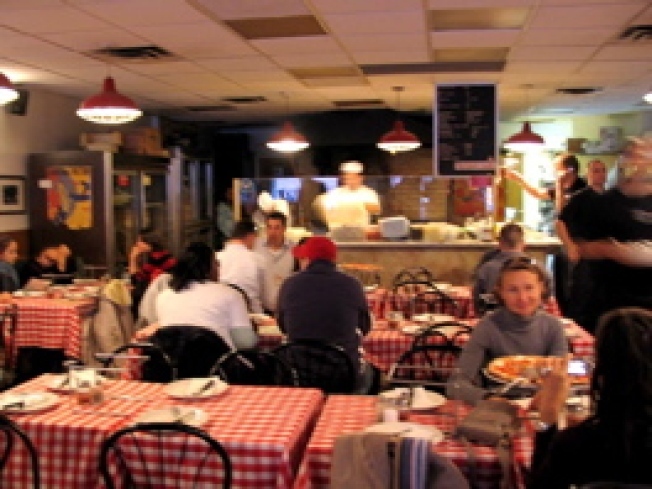 Financial District: Grimaldi's owner Frank Ciolli has just confirmed that he plans on opening a new outpost of Grimaldi's in the Financial District directly across the river from the original Brooklyn space in the "early part of 2009". He just signed a 20-year lease on a space at 135 John Street at Water Street, and construction is slated to begin in about a month. While Ciolli tells us the menu and the layout will be identical to its DUMBO sibling, this space will be slightly larger. Things suddenly became a tiny bit more interesting in FiDi. We're wondering how neighborhood pizza stalwart Adrienne's will take the news.